On this week's episode of Radiolab with Robert Krulwich the topic is guts, as in stomach and intestines - including (in "Gut Feelings") the microbiome ("the ecological community of commensal, symbiotic, and pathogenic microorganisms that literally share our body space") and the powers of probiotics to affect mood and mind. Random fact: there is 10 times more non-human DNA than human DNA in our bodies. This hour, we dive into the messy mystery in the middle of us. What's going on down there? 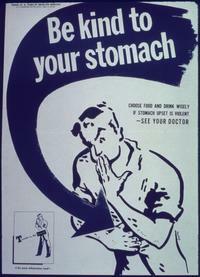 And what can the rumblings deep in our bellies tell us about ourselves? We stick our hand in a cow stomach, get a window into our core (thanks to a hunter who became a walking science experiment in the 1800s), and listen in on the surprising back-and-forth between our gut and our brain. And we talk to a man who kind of went out of his mind when a medical procedure left him (for a little while) gutless. Correction: An earlier version of this piece implied that subjects in the human probiotics study were given a larger dose of probiotics than they actually were. We also compared the results of the study to the effect of giving people anti-anxiety medication. The subjects did experience a significant positive mood change, but the researchers did not compare that result to the effect of anti-anxiety medication. The audio has been adjusted to reflect these facts. Not long ago, writer Mary Roach got a real hands-on lesson on the gut: she got to stick her hand inside a real live cow stomach, and experience digestion from the inside. 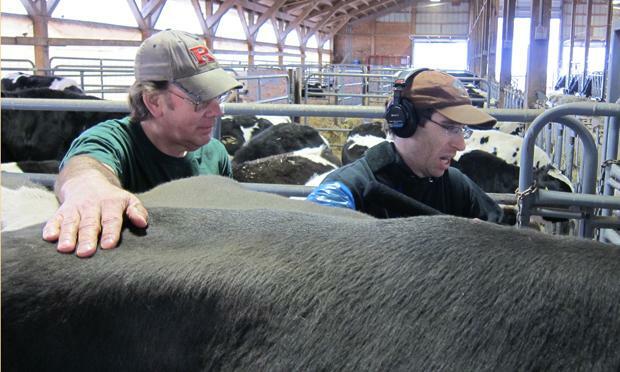 When we heard about her adventure, we had to try it ourselves—so producer Tim Howard headed to Rutgers University to see, feel...and smell...a fistulated cow firsthand. Then, we get a peek inside another stomach, this time a human one. Mary returns, with help from writer Fred Kaufman, to tell the improbable story of Dr. William Beaumont and hunter-turned-living-science-experiment Alexis St. Martin. In 1822, an accidental shooting left St. Martin with a hole in his gut that wouldn't heal, but didn't kill him either. Instead, the opening gave Dr. Beaumont a one-of-a-kind window into the human body. And the strange relationship that developed between doctor and patient changed the way we understand digestion. While Jad was on paternity leave, Carl Zimmer told Robert and producer Soren Wheeler about the ecosystem inside each and every one of us. According to Carl, when we're in the womb, we have no bacteria in us at all, but as soon as we're born we start gathering up the bugs. And by the time we're grown, we have a three-pound organ of others inside our guts. With the help of some bacteria, swimming mice, and neuroscientist named John Cryan, we learn that this organ does much more than just help us digest food. And finally, Jonah Lehrer joins Carl to help us understand what the bugs in our gut have to say about the feelings in our heads. Back in 2009, Jon Reiner was feeling as healthy as he ever had. Jon has Crohn's disease--an autoimmune condition that affects his gastrointestinal system--but it had been in remission for a year. He was eating like a horse and felt terrific. But then one afternoon, a strange and ferocious pain struck him in the gut. It felt as if his insides had exploded. Because, well, they had. Jon was rushed into surgery and survived, but when his doctors met him afterward in recovery, they told him he there'd been a complication: in order for Jon's gut to heal fully, they'd have to shut it down and feed him intravenously. For a while. The doctors told Jon the nutrients he'd receive would give him everything he'd need to survive. But they were wrong. This is a story about the deep power of the gut--not just to shape our minds, but to keep us from losing them. It's a story that suggests chewing and swallowing and digesting aren't just things we do to stay alive ... but things we do to stay, well, human. 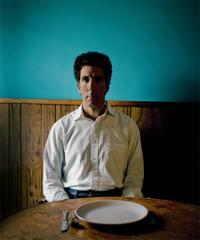 Jon Reiner's Esquire article "The Man Who Couldn't Eat"